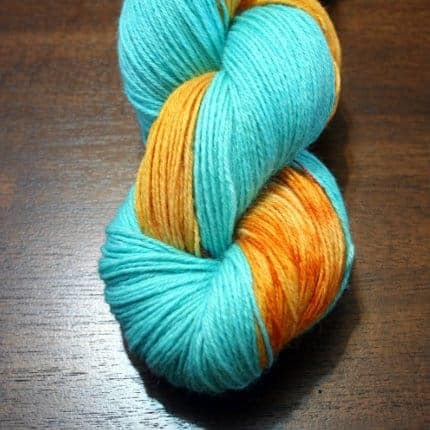 Speaking of science, my hand-dyed yarns are created using equal parts chemistry and creativity. 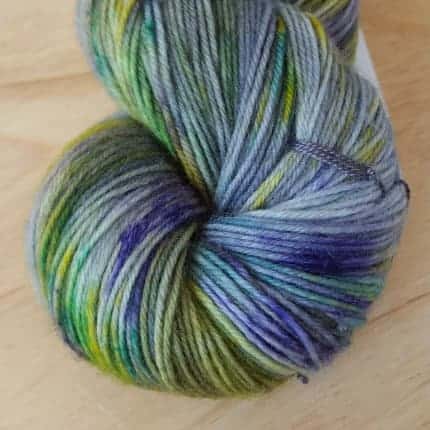 As the holiday season approaches, I wanted to offer a 15% off sale on all full-sized skeins, no coupon needed, in my Etsy shop to help you treat that special crafter in your life to some hand-dyed sock yarn. 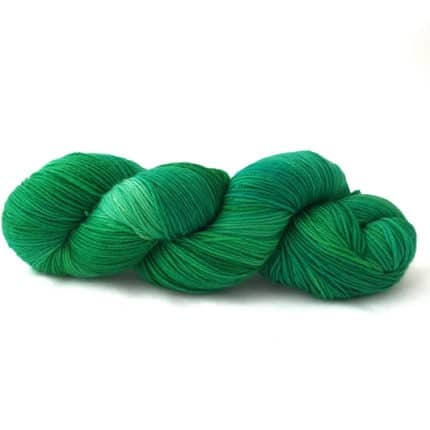 Self care is important too, so if you see a skein that catches your eye, make sure to snap it up for yourself! Most of my yarns are dyed as single skeins so many colourways may never be repeated again. The sale ends Monday, November 27. Oh, and have that second cup of coffee (or tea!) after Thanksgiving dinner. You’ll need a little energy boost to fit in some much-needed knitting time as you enjoy the company of those closest to you. Happy Thanksgiving! We have an exciting shop update to share with the Indie Untangled community this week. Two new colourways – Smokey Aubergine and Quantum – have been added to the Etsy shop! Smokey Aubergine is a mysterious colour, full of foggy notes of pink, purple and grey. Quantum is a futuristic colourway, combining groovy tie dye techniques with striking turquoise, teal and bright white. 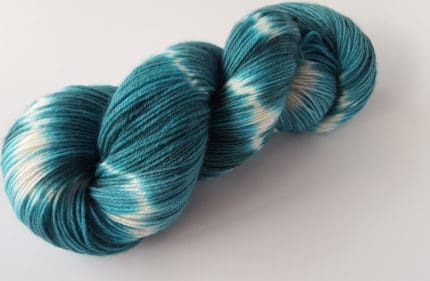 Both colourways would make a lovely pair of socks or, used in combination with some of our other hand dyed skeins, a soft and luxurious sock yarn shawl. 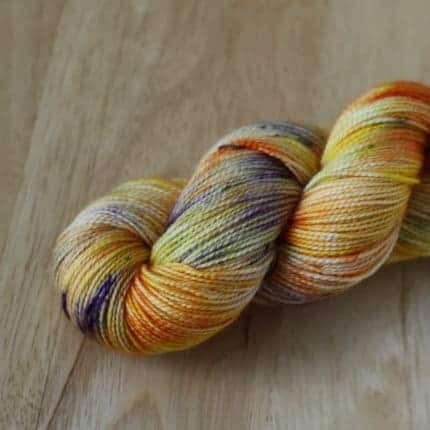 Visit One Hand in the Dyepot Yarns on Etsy to grab these skeins before they’re gone! 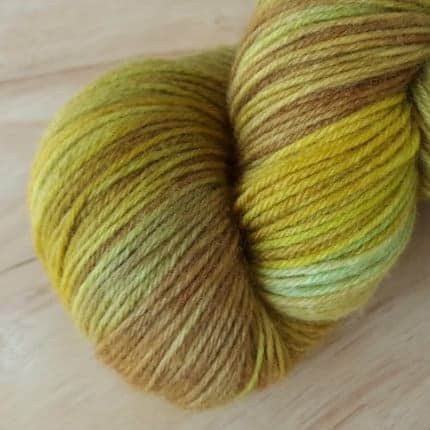 One Hand in the Dyepot Yarns has added four new, unique colourways to the Etsy shop. 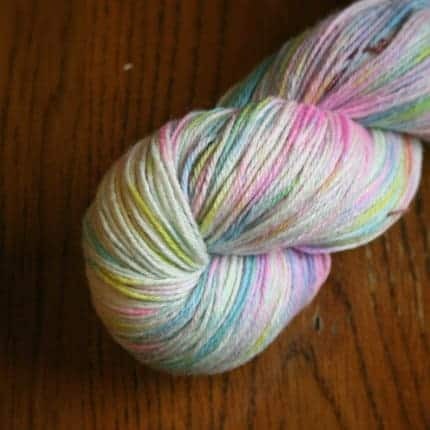 Pictured here is Impressionist: a moody, speckled colourway featuring every color of the rainbow. 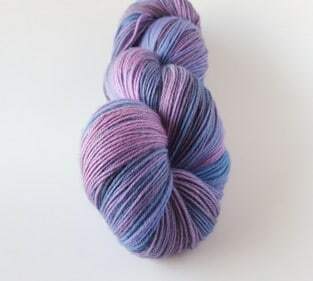 To see more images of this beautiful skein as well as other one-off colourways, visit our shop! Hi! I’m Sarah Hand, the indie dyer behind One Hand in the Dyepot Yarns. 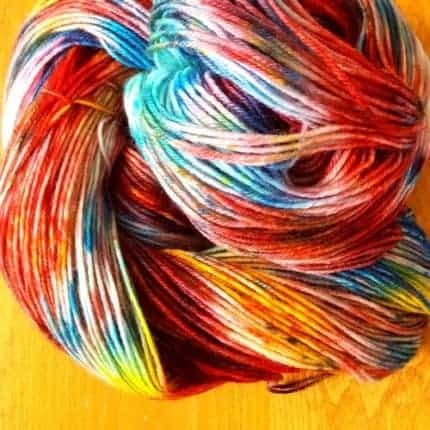 I’ve recently set up my shop and wanted to share my dye philosophy with you all. I have a Master of Science degree and I take a very analytical approach to dyeing. In my colour experiments, I keep track of time and temperature, pH and dye dilutions in my very detailed lab book. This attention to detail allows a level of precision and control with my hand-dyes, and encourages my creative side to test out interesting colour combinations and designs. 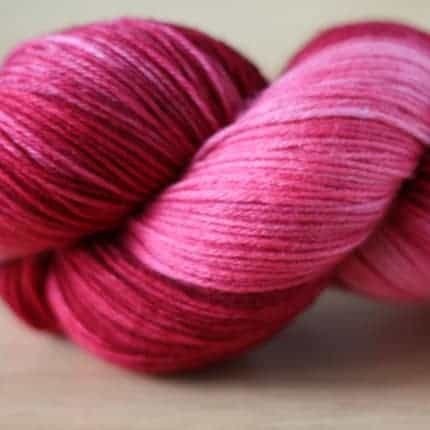 I believe that yarn dyeing – like most crafty pursuits – requires us to engage both our left and right brains, and that striking a balance can produce inspiring results.